Keynote presentation in PDF Keynote 1. In 1985 the US Federal Communications Commission (FCC) decided to make several bands of the wireless spectrum available without a government license. The so called “garbage band of 2.4 GHz” was allocated to equipment such as microwave ovens. Since 1985, this band could also be used for Industrial, Medical, and Scientific (ISM) purposes. The move by the FCC has unleashed a wave of innovations in the telecommunication industry that fundamentally changed humans experience and the interaction with networks. This wave of innovations manifests itself in the introduction of affordable networking technologies capable of satisfying users’ needs in terms of mobility and connectivity. Among those technologies the Wi-Fi networking based on IEEE 802.11 Wireless LAN (WLAN) standards has distinguished itself as the technology of choice for the masses to satisfy their networking requirements at an affordable cost. With the recognition of its economic benefits, more unlicensed spectrum is becoming available by the different administrations around the world. Unlicensed spectrum now extends from sub GHz bands (< 1 GHz) to millimeter wave (mmWave) bands in the vicinity of 30-60 GHz. Several networking technologies are planning to capitalize on the availability of these bands. In addition to Wi-Fi, LTE- advanced (4G) and next generation wireless networks (5G) are also planning to make use of the unlicensed bands. This talk focuses on technologies operating in the unlicensed bands and how they evolved with the spectrum availability. The talk will highlight the role of these technologies in networking, their economic impact, and expected contributions to future technologies such as 5G. The talk will also address coexistence issues between the different communication technologies operating in the same band. Osama Aboul-Magd: is a director at Huawei Technologies, Canada Research Center where he is responsible for WLAN research and standards. He graduated from Cairo University with a degree in Electronics and Electrical Communications. He obtained his M.A.Sc and Ph.D degrees from the University in Toronto, both in Electrical Engineering. After graduation he joined Bell-Northern Research, the research arm of Northern Telecom where he worked on the planning and development of a number of netwkring technologies including Frame Relay, Asynchronous Transfer Mode (ATM), Carrier Ethernet, Multi-Protocol Lable Switching (MPLS), and Wireless LAN (WLAN). During his career Dr. Aboul-Magd participated in many standards development organizations. Most recently he led the effort at the IEEE 802.11 working group developing the first WLAN standard achieving data rates in gigabit range, a.k.a. 802.11ac. He is now the chair of the 802.11ax task group working on the development of the next generation WLAN with emphasis on improved efficiency in dense deployment scenarios. Keynote presentation in PDF Keynote 2. Luigi Atzori is Associate Professor at the Department of Electrical and Electronic Engineering at the University of Cagliari (Italy) and Research Associate at the Multimedia Communications Laboratory of CNIT (Consorzio Nazionale Interuniversitario per le Telecomunicazioni). L. Atzori research interests are in computer networking, with particular emphasis on service management for Internet of Things and in wireless sensor networks, and multimedia communications, with a focus on multimedia QoE and wireless video streaming. L. Atzori is senior member of IEEE, chair of the Steering Committee of the IEEE Multimedia Communications Committee (MMTC) and co-chair of the IEEE 1907.1 standard on “Network-Adaptive Quality of Experience (QoE) Management Scheme for Real-Time Mobile Video Communications”. He is the coordinator of the European Marie Curie Initial Training Network on QoE for multimedia services (www.qoenet-itn.eu), which involves ten European Institutions in Europe and one in South Korea. He has been the editor for the ACM/Springer Wireless Networks Journal and guest editor for the IEEE Communications Magazine, the Springer Monet Journal and the Elsevier Signal Processing: Image Communications Journal. He is member of the editorial board of the IEEE IoT, the Elsevier Ad Hoc Networks and the Advances on Multimedia journals. He served as a technical program chair for various international conferences and workshops. He served as reviewer and panellist for many funding agencies, including FP7, Cost Action, Italian MIUR and Regional funding agency. The integration of physical systems with networked sensing, computation networks and embedded control with actuation has led to the emergence of a new generation of engineered systems, the Cyber-Physical Systems (CPS). Such systems emphasize the link between cyber space and physical environment (i.e., time, space, and energy). CPS represents the next generation of complex engineering systems. They are large scale dynamic systems that offer significant processing power while interacting across communication networks. CPS will help to solve the grand challenges of our society, such as, aging population, limited resources, sustainability, environment, mobility, security, health care, etc. Applications of CPS cover a wide band of economic, medical, and entertainment sectors. It includes; Transportation: automobiles, avionics, unmanned vehicles and smart roads; Large Scale Critical Infrastructure: bridges, mega buildings, power grid, defense systems; Health Care: medical devices, health management networks, telemedicine; Consumer Electronics: video games, audio/video processing, and mobile communication. Building Cyber-Physical Systems is not a trivial task. The difficulty arises from the existing gap in modeling and computing of the physical and cyber environments. The design process require new theories, models, and algorithms that unify both environments in one framework. None of the current state-of-the art methods are able to overcome the challenges of developing the unified CPS design paradigm. Dr. Magdy A. Bayoumi is the Z.L. Loflin Eminent Scholar Endowed Chair Professor at The Center for Advanced Computer Studies (CACS), University of Louisiana at Lafayette (UL Lafayette). He was the Director of CACS, 1997 – 2013 and Department Head of the Computer Science Department, 2000-2011. Dr. Bayoumi has been a faculty member in CACS since 1985. He received B.Sc. and M.Sc. degrees in Electrical Engineering from Cairo University, Egypt; M.Sc. degree in Computer Engineering from Washington University, St. Louis; and Ph.D. degree in Electrical Engineering from the University of Windsor, Canada. Dr. Bayoumi has graduated about 70 Ph.D. and 150 Master’s students. 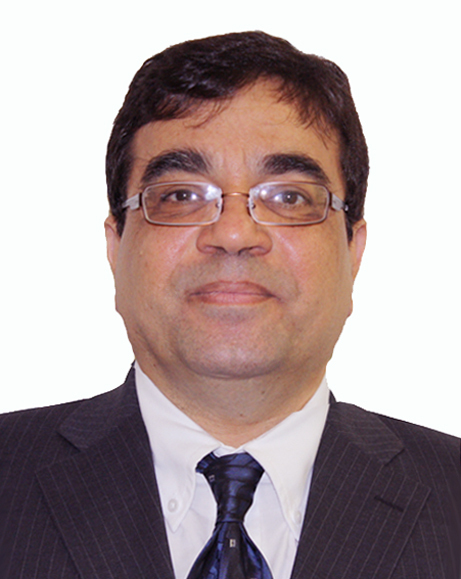 He has published over 500 papers in related journals and conferences. He edited, co-edited and co-authored 10 books in his research interests. He has been Guest Editor (or Co-Guest Editor) of nine Special Issues in VLSI Signal Processing, Learning on Silicon, Multimedia Architecture, Digital and Computational Video, and Perception-on-a-Chip. The latest Special Issues has been on "System-on-a-Chip," IEEE Proceedings, 2006. He has given numerous invited lectures and talks nationally and internationally, and has consulted in industry. He is an IEEE fellow. He is on the IEEE Fellow Committee and he was on the IEEE CS Fellow Committee. He is Faculty Advisor for the IEEE Computer Student Chapter at UL Lafayette, the winner of the 2002 and 2007 Outstanding Chapter Award (worldwide). He won UL Lafayette 1988 Researcher of the Year award, and 1993 Distinguished Professor award at UL Lafayette. Dr. Bayoumi was an ABET Commissioner and Team Chair and has been ABET evaluator. 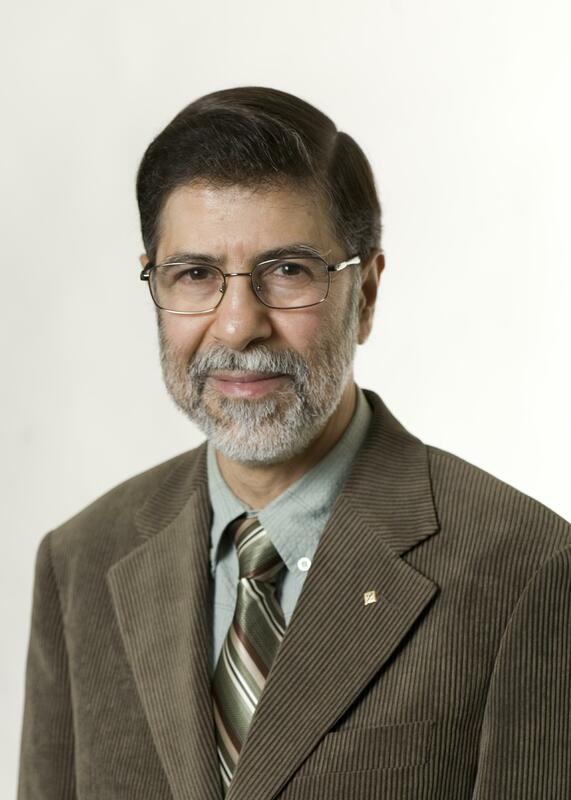 Dr. Bayoumi is the recipient of the 2009 IEEE Circuits and Systems Meritorious Service Award. He is also the recipient of the 2003 IEEE Circuits and Systems Society Education Award. He was the Vice President for Conferences, Vice President for Technical Activities, and a member of the Board of Governors and Executive Committee of CAS Society. 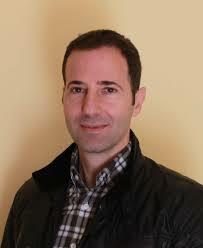 He is the vice president of Technical Activities of the newly formed IEEE Council on RFID. Dr. Bayoumi served on the technology panel and advisory board of the U.S. Department of Education project, "Special Education Beyond Year 2010," 1990-1993. He was the chair of an international delegation to China, sponsored by People-to-People Ambassador, 2000. He received the French Government Fellowship, University of Paris Orsay, 2003-2005 and 2009. He received the United Nation Fellowship, Egypt, 2002-2003. He was a Visiting Professor at King Saud University. He was on the advisory board, Lafayette Economic Development Authority (LEDA); serves as a Board Member of the International Trade Development Group, Le Centre International de Lafayette, 2001- 2012; former Vice-President of Acadiana Technology Council; and was on the organizing committee for Acadiana’s 3rd Internet Workshop, 1999. He gave the keynote speech in "Acadiana Y2K Workshop," 1999, Lafayette. He is a member of Lafayette Chamber of Commerce where he was a member of the Economic Development, Education, and Tourism Committees. He was a member of the Lafayette Leadership Institute Board. He was on the Governor’s commission for developing a comprehensive energy policy for the State of Louisiana, 2002-2003 (confirmed by the State Senate). He was a technology columnist and writer for Lafayette newspaper, "The Daily Advertiser." Keynote presentation in PDF Keynote 4. Hussein Mouftah is an internationally-acclaimed scholar who has made outstanding contributions to the understanding and knowledge of telecommunication networks, particularly in high-speed networks, optical networks, network switching architectures, and wireless cellular as well as ad hoc and sensor networks, among other areas related to the next- generation Internet – the so-called Internet-of-Things. 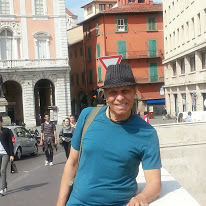 He received the BSc in Electrical Engineering and MSc in Computer Science from the University of Alexandria, Egypt, in 1969 and 1972, respectively, and the PhD in Electrical Engineering from Laval University, Canada, in 1975. He joined the School of Electrical Engineering and Computer Science of the University of Ottawa in 2002 as a Tier 1 Canada Research Chair Professor, where he became a University Distinguished Professor in 2006. He has been with the ECE Dept. at Queen's University (1979-2002), where he was prior to his departure a Full Professor and the Department Associate Head. He has six years of industrial experience mainly at Bell Northern Research of Ottawa (Nortel Networks). He served as Editor-in-Chief of the IEEE Communications Magazine (1995-97), IEEE ComSoc Director of Magazines (1998-99), Chair of the Awards Committee (2002-03), Director of Education (2006-07), and Member of the Board of Governors (1997-99 and 2006-07). He has been a Distinguished Speaker of the IEEE Communications Society (2000-2007). He is the author or coauthor of 10 books, 72 book chapters and more than 1400 technical papers, 14 patents, 6 invention disclosures and 144 industrial reports. He is the joint holder of 20 Best/Outstanding Paper Awards. He has received numerous prestigious career achievement awards. Dr. Mouftah is a Fellow of the IEEE (1990), the Canadian Academy of Engineering (2003), the Engineering Institute of Canada (2005) and the Royal Society of Canada RSC Academy of Science (2008).